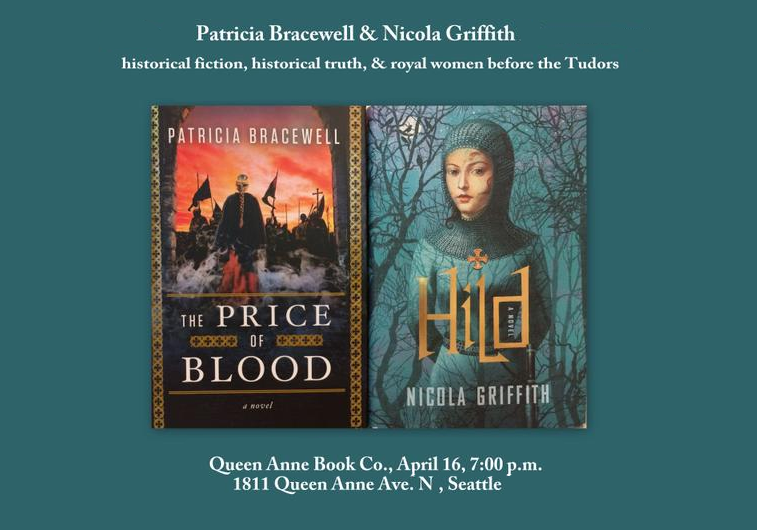 On Thursday, 16th April at 7 pm, ​I’m doing an event at Queen Anne Book Company with Patricia Bracewell, author of The Price of Blood and Shadow on the Crown, novels about Emma of Normandy. Emma lived in the eleventh century, four hundred years later than Hild, but as writers we had to deal with some surprisingly similar problems. We’ll also both do short (very short—less than 2 minutes each) readings*, and then open it up to the audience. It should be a far-ranging evening in one of Seattle’s most delicious bookshops. It would be lovely to see you there.